At this website, we have tried to be true to our name. 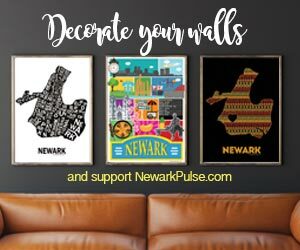 Countless people, whom we have interviewed, filmed, partied with, broken bread with, or just befriended on social media or in the real world, have taken to the phrase: "I/We am/are the pulse of Newark." Joe White, a born son and lifelong resident of our city, can lay claim to that catchphrase as much as anyone you will ever meet. A graduate of the world famous Southside High School, Joe White (A brief aside: Joe White is just one of those people, to whom you have to refer by their entire name. Not in the Michael Jordan sense, but in the respectable sense of those years not so long gone, where everyone was known by either a nickname or a full name. Joe White is of the full name variety.) is a man of many talents. He conjures images of the Wayans' family skits of the Jamaican family. Yet instead of 3 jobs, Joe White is very quick to point out at the beginning of our conversation, that he has "had 68 jobs in my life." Sixty-Eight! Sesenta y ocho! I don't even know if I've been at a job where I have even collected 68 paychecks! And in an era (generations, at this point) where there has been rampant unemployment, Joe White has been a model of 'by any means necessary." Above all, Joe White is a griot. Not merely a historian, or a playwright, or a reporter, although he has been and is all of those, he is a teller of stories, the one job that will remain. Having started his career as a reporter for the Newark Evening News, he covered all of the happenings of Newark, including politics, cultural affairs, crime, and police brutality. He saw it as "the time I'm going to have my say." After the election of Mayor Gibson, Joe White served as the spokesman for the Newark Police Department, before serving as the same several years later for the Newark Public Schools. Amidst public relations, work at the post office, and other positions, he also managed two automobile parts plants for General Motors. His current heart beats in Weequahic Park, where he manages the facilities. This unique life, with varied experiences, fueled the flames that have burned through his pen as a playwright and author. He has seen his works share the same stages as Amiri Baraka (with whom he has worked as an assistant and booking agent), and was even awarded the Whitney Fellowship Award, which he credits for jump starting his writing career. Although he claims to not have a personal favorite of his own works, Joe White is also an avid book collector with a collection that nears 10,000 books. Those books have made good company, along with the music and listening audience, from a late-night gig he held as a jazz DJ. Above it all, working with the police department proved to be the most interesting, presumably supplying a lot of material. Quite simply, Joe White has the stories of the past and those yet to be told. Anything else you'd like us to know? I want to reinvigorate playwright scene in Newark.